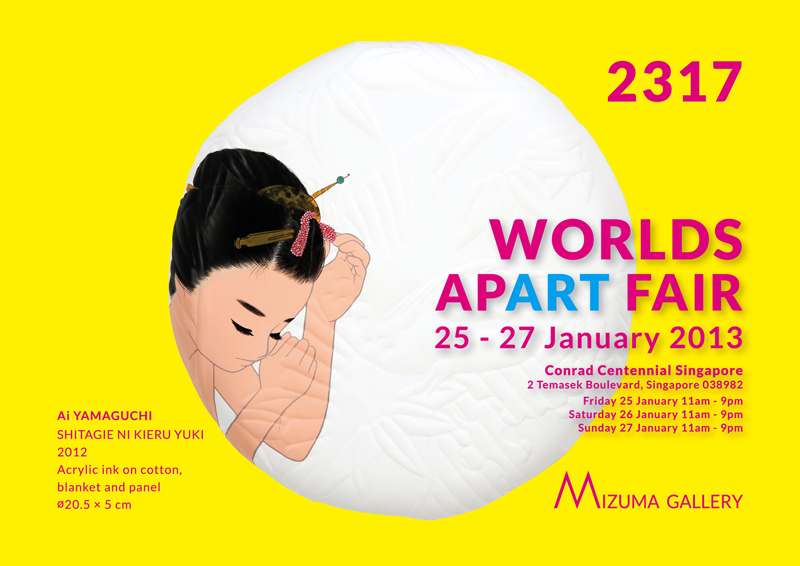 Mizuma Gallery is taking part in the upcoming Worlds Apart Fair, from 25 to 27 January 2013. Visit our gallery at Booth 2317. For more information, please contact us at info@mizuma.sg or visit the official website for Worlds Apart Fair.